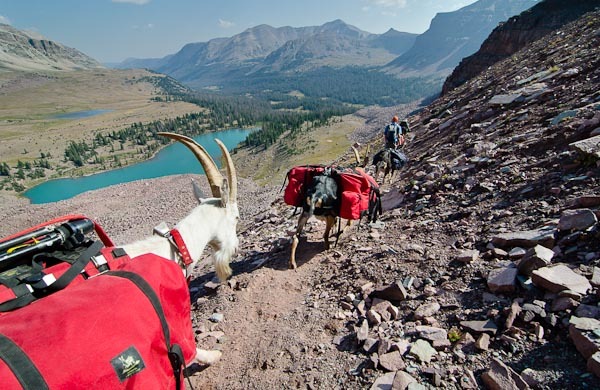 Four goats, four unlikely men, and a 100-mile trek in Utah’s little-known High Uintas Wilderness. Last fall, after returning from a father-and-son goat-packing escapade on Utah’s Highline Trail, I sharpened my pencil, summoned my courage, and pitched the New York Times — without knowing a soul at the paper. This is what emerged. To say I’m stoked would be an understatement. Working with the storied newspaper’s staff — from editors to copy proofers to map makers to the photo department — reinforced why the NYT has an unrivalled reputation for excellence; every fact was checked, every photo scrutinized for alteration, the map a work of art.